Best friends James Lessor and Skip Moore are hardly on the fast track. While James works as a line cook at Cap'n Crab, Skip spends his days selling - or rather, attempting to sell - security systems to people who (a) have no money, and (b) have nothing they care to protect. James and Skip aren't upwardly mobile, but they're about to get literally mobile when James spends a surprise inheritance on a white box truck. An investment in the future, he surmises, as these two are starting a business - solely devoted to hauling other people's stuff. 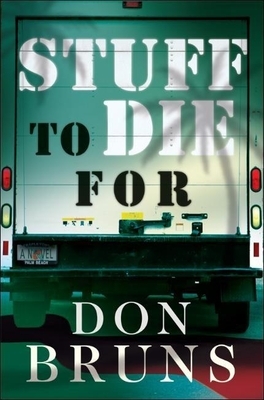 But the fledgling business takes a shocking turn when James and Skip unload the contents of their first moving job and find some unexpected cargo - a bloody human finger. James and Skip must scramble to stay one step ahead of the perpetrators of the gruesome crime in this witty, gritty mystery about big dreams, big ideas - and big trouble. Instead of chasing the American dream, James and Skip will be running for their lives.